(Wednesday, December 6, 2017) – The President of the American Zionist Movement (AZM) Richard D. Heideman has applauded and welcomed President Trump’s announcement recognizing Jerusalem as the capital of the State of Israel saying that it is consistent with America’s recognition of capitals of nations throughout the world.  The American Zionist Movement (AZM), including 25 national Zionist organizations, representing millions of Americans, officially represents American Zionists in the World Zionist Organization and works across a broad ideological, political and religious spectrum linking the American Jewish community together in support of Israel, Zionism and the Jewish People. “As Zionists, while we may have many diverging opinions and disagreements on many issues, Jerusalem is central to our ideology,” said Herbert Block, Executive Director of the AZM. “Zion, meaning Jerusalem, is the focal point of our national, religious and political culture as Jews so when people recognize Jerusalem, they recognize an essential tenet of Jewish peoplehood. For committed Zionists in America there has never been any doubt about the importance of Jerusalem in our connection to Israel. When Theodor Herzl launched the modern Zionist movement 120 years ago the Hatikvah was adopted as our anthem and it concludes with a yearning ‘to be a free nation in our land, the land of Zion and Jerusalem’.